Raul came second in the British Formula Ford series in 1980. 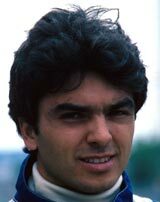 Making sure that he scored points rather than throw them away in a win-or-bust approach, Raul finished third in the British Formula Three championship and leapt into Formula One for 1982. However, the March team was not the one to be with that year and his best result was eighth at the Belgian Grand Prix. Frustrated, he moved to Ligier for 1983 and went one better with seventh place in the US Grand Prix West. However, no points came his way and Raul headed to Indy Cars. A period racing for the Jaguar sports car team netted Raul the 1987 world title, but he returned to Indy Cars in the 1990s.